English, 18th century, caved and gilded frame. 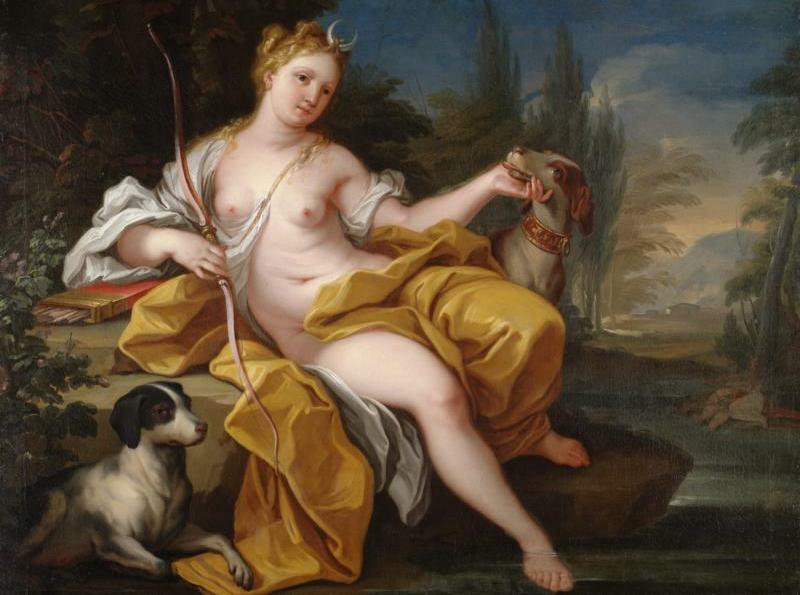 In Roman mythology Diana, meaning heavenly or divine, was the goddess of the hunt. She was the equivalent to the Greek Goddess Artemis and considered to be the twin sister of Apollo, their parents being Zeus and Leto. Her weapon was the bow and she had the power to communicate with animals.